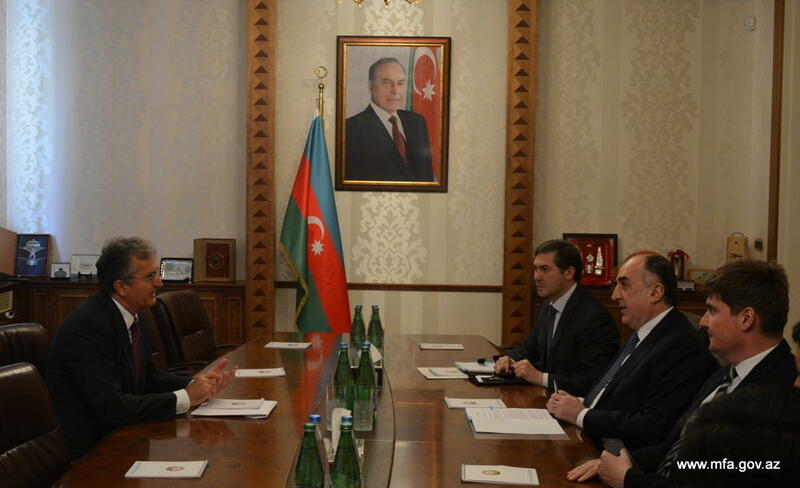 Azerbaijani Foreign Minister Elmar Mammadyarov has received Ambassador Extraordinary and Plenipotentiary of Serbia to Azerbaijan Nebojsa Rodic on the occasion of completion of his diplomatic mission, Azerbaijan’s Foreign Ministry told Trend. During the meeting, the sides expressed satisfaction with the current level of development of cooperation and high-level political dialogue between Azerbaijan and Serbia. Mammadyarov highly appreciated Nebojsa Rodic’s efforts for the development of friendly and strategic partnership relations between the two countries and highlighted intensive visits of Serbian state and government officials, other officials and parliamentary delegations to Azerbaijan during his tenure as ambassador. Rodic thanked for the support during his diplomatic activity and stressed that he spared no efforts for the development of partnership between Azerbaijan and Serbia. Mammadyarov wished Rodic success in his future activity.